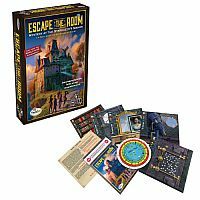 Escape the Room: Mystery at the Stargazer's Manor brings all the excitement of the digital adventure into your own home. 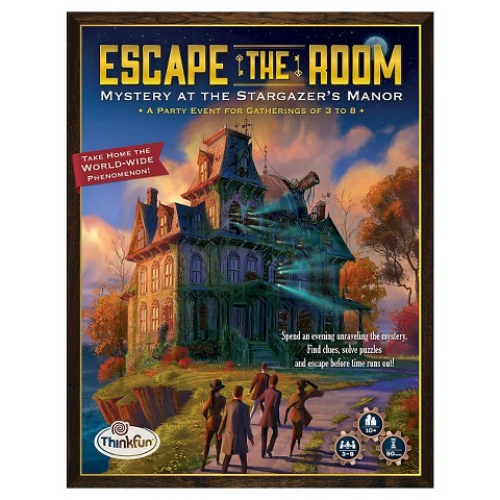 Spend an evening with friends working to solve puzzles, unlock hidden clues and unravel the mystery of the Stargazer's Manor. 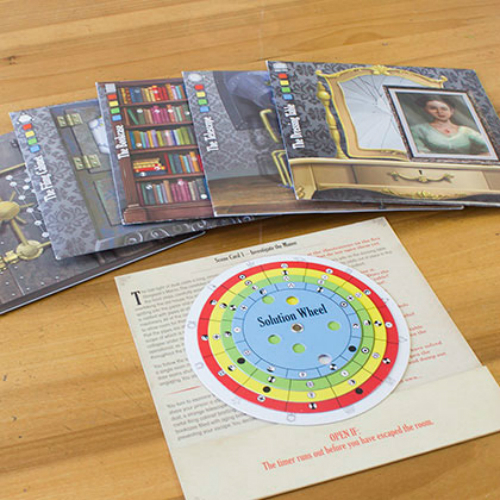 Will you and your guests be able to solve the mystery and save the astronomer before time runs out? The mystery: It’s 1869 and the town’s well-respected astronomer has not been seen since the untimely passing of his wife. Recently, strange things have been happening at his manor – loud and unfamiliar noises, an unpleasant smell, and smoke billowing from the observatory. 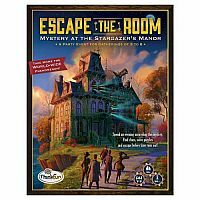 It’s up to you and your guests to solve the mystery at the Stargazer’s Manor! 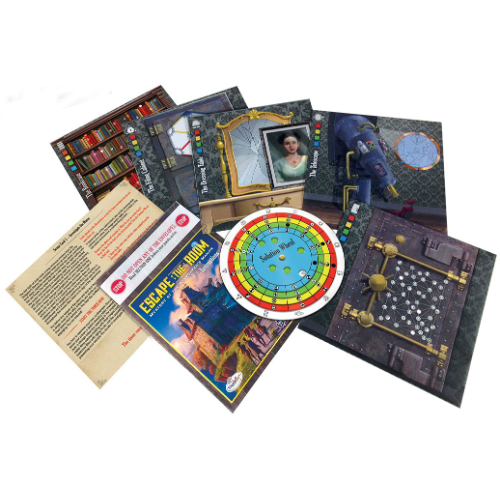 Includes: Scene Card, 5 Sealed Envelopes, Secret Items (inside the 5 sealed envelopes), Solution Wheel and Instruction Manual. 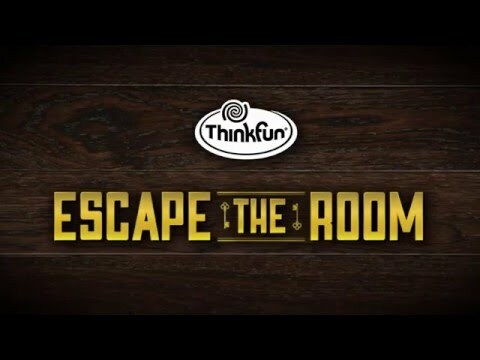 For 3 to 8 players. Game play is approx. 1 to 2 hours. Measures approximately: 8.50 x 10.25 x 2.00 inches..